For years, when the Buick brand was mentioned the first thing you thought of was your grandparents’ large land yacht sailing around on the road. Thankfully, if you’re younger than 35 you’re not necessarily going to have this image of Buick and might even think of the brand as a youthful and flirtatious brand that can entice a drive of any age with quality features and the creative style that captures the imagination. This change in mindset is proof that Buick has changed its brand image. Even those of us who are first going to think of their grandparents’ large car as the first image of a Buick will be amazed by what the brand has to offer us now. The success the brand had enjoyed in China coupled with a lineup of new models with more for the drive make this a brand that can certainly be the right choice. You’ve heard the lines in the Buick ads that show people who act as if they’re genuinely surprised that the vehicle in the commercial is a Buick. What are you looking to drive? If you want a great looking sedan with a long list of premium features that reach up to the luxury level, you’ll want to take a look at the Regal models and the large LaCrosse. There’s a convertible offered to let you put your hair out and feel the wind when you drive the Cascada around on the road. If you want an excellent SUV to enjoy, there are three to choose from, the Encore, Envision, and Enclave, which will all impress you with the creative use of space and the amazing comfort offered. 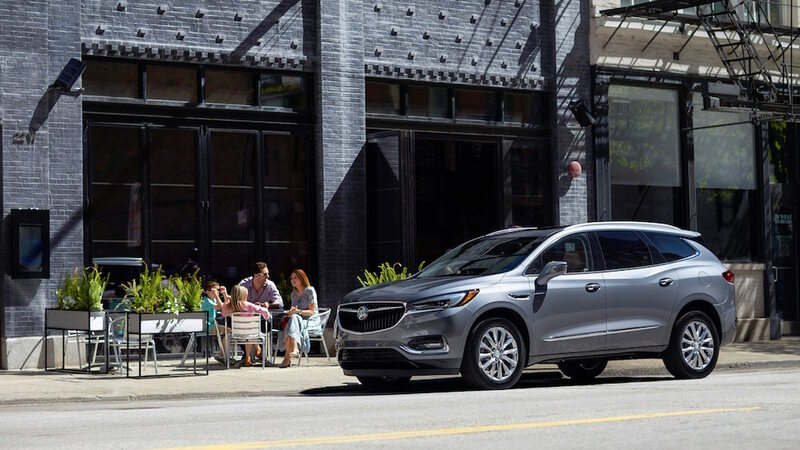 When you’re looking for that Buick model that not only straddles the line between being a premium choice and a luxury model, there are a few models that now offer the Avenir trim level. This trim is one that packs in the quality features you want, excellent styling you’re sure to love, and the comfort that makes you know you’ve chosen a luxury vehicle. There’s no denying the qualities offered in the Buick brand lineup that now make it possible to enjoy the look and quality you want when you drive around on the roads in your area. In the past, there weren’t many of the designers or engineers lining up to work on the Buick models, but that has changed. Now they see more people looking to put their hands up and enjoy the creative design aspects and advanced engineering that can be part of what Buick has to offer. This internal change in the personality and desire to work on the models from Buick show that we can expect the new look, feel, and reputation of the Buick brand will continue to be offered for us for several years to come.